We had a much better week of school! Amazing how, when you change a little thing, it can affect the whole day!! We did not do much outside of school this week, but it was a good week and cooler weather seems to have arrived & we are all thrilled about that!! We flip-flopped. Whew. Who knew? I always subscribed to doing the “hard” stuff first, and then coasting the rest of the day. For 3 years we have done math and handwriting first, then followed by reading and other stuff. Our days were drifting past lunch time though, and I am not ready to offer afternoons to structured school. I know we can get everything we need to do, done by lunch. And not 3:00pm lunch. So, this week we started with my part – reading, geography, latin, etc – and then when I was done with my portion they were left to do math and handwriting and they were done. This has had an amazing impact on our days! We finished by about 11:00 every day. AMAZING!! So this is our new system – hoping it will last!! 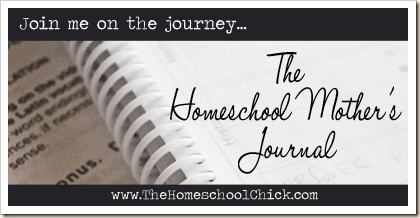 Flexibility – it is what keeps homeschool real, possible and fun. Knowing when to flex for the kids, or for us – is vital! Oh, boy! This past week, not too much people seeing, or places going – but AG and I leave Monday for Baltimore and NYC!! Cannot wait!! Getting into a new groove – and enjoying each day this week!! It was so much better than the last few weeks!! In general, things are going really well. We are loving Ambleside Year 1 and Year 4! Free Read time is working well too! I have two young readers doing great things reading some great books – and moving quicker and quicker! This has been a true blessing! Not a Fan – a great book about whether you are a “fan” or Follower of Jesus – which are you? Reclaiming Lily – a fiction book about two sisters from China, one adopted into a family in TX and the other a doctor researching a deadly genetic disease. So far, so good. just a few in my pile, right now. I am going to attempt caramels again tomorrow – last batch of chewy goodness ended up as Worther’s Hard candies – hope this time is a bit better. I did can lots of pears this week though! cooler weather – it has been so nice to sit outside and enjoy the fall temps – well, almost fall temps! Safety on our trip – I am a bit nervous going with my little girl into the Big city. We are going to have tons of fun though!! Wow! It sounds like such a simple change has made a BIG different in your school days! Sometimes it's hard to get out of the comfortable same ol' same ol', but sometimes it's necessary and fun! Have a GREAT time on your trip! I'd love to have you stop by and visit me.